We knew then, that we were being changed... and made part of their world. We didn't know for what purpose... but we knew, we would be told. Watching Ant-Man, you can definitely tell what was Edgar Wright, and what was Marvel. I would have loved to have seen Wright's version, of course, but I enjoyed the final film knowing its convoluted history. It was at its best when it shied away from the standard Only You Can Save The World element, as well as the needlessly extended Call To Heroism/Training for Battle section of the film - it was when the film did the things that you wouldn't see in Thor or Iron Man that made it shine. 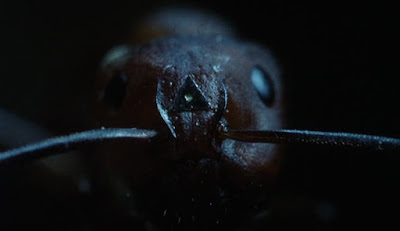 As Captain America: The Winter Soldier was a '70s spy thriller, Ant-Man is a heist movie, appropriate for the character.